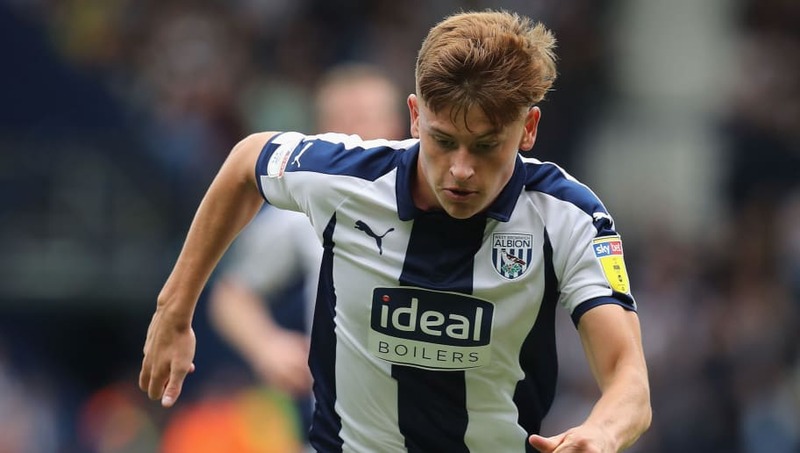 West Brom’s technical director has moved to cool the speculation that Leicester City could recall England Under-21 star Harvey Barnes, following his impressive start to life in the Championship. Barnes has had a great impact since joining Darren Moore’s side on loan during the summer, including netting a wonder goal during his league debut against Bolton Wanderers. His form has caught the attentions of many around the country, not least from his parent club. ​Leicester have the option to recall the 20-year-old from his loan in January but, via ​Express & Star, ​West Brom’s technical director Luke Dowling insisted there's been 'no cotnact'. He said: “As we speak there’s been no contact from Leicester in terms of him going back. “Obviously we speak to them regularly about his development which is natural in any loan. In terms of the speculation with Harvey going back, we can’t say definitely either way. “He’s not our player, he’s come in and done very well, hence the speculation. That’s also come from the Demarai Gray injury. “I think that shows how well he’s doing here. The way he’s adapted to our club and the way Darren [Moore] has got him playing in his system suits him. “Selfishly, from a West Brom point of view, if he stays with us for the whole season he will threaten Leicester’s first team next July. “I personally think if he goes back in January, I wouldn’t have thought he’d be in the first team, although he’d be around their squad. Is that the best thing for Harvey Barnes’ career? No. Barnes, who has scored five goals in 12 appearances during his spell so far at the Hawthorns, is said to have turned down larger financial offers from elsewhere in order to join West Brom during the summer, with the Baggies apparently seen as the ideal fit. “Before he joined, West Brom weren’t the only club in for him,” Dowling ​added. “There were many other clubs in the Championship and many were willing to pay Harvey a lot more money than West Brom."